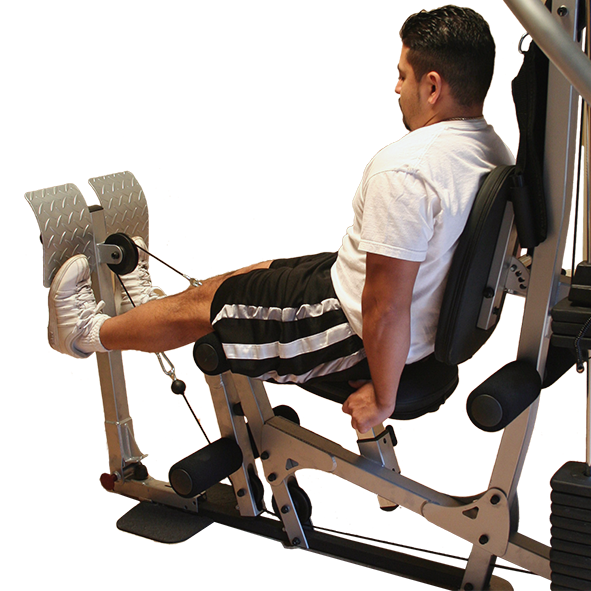 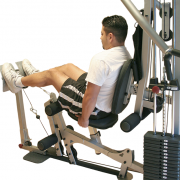 The leg press is a compound exercise, working out 3 muscle groups, the quadriceps, hamstrings, and glutes. 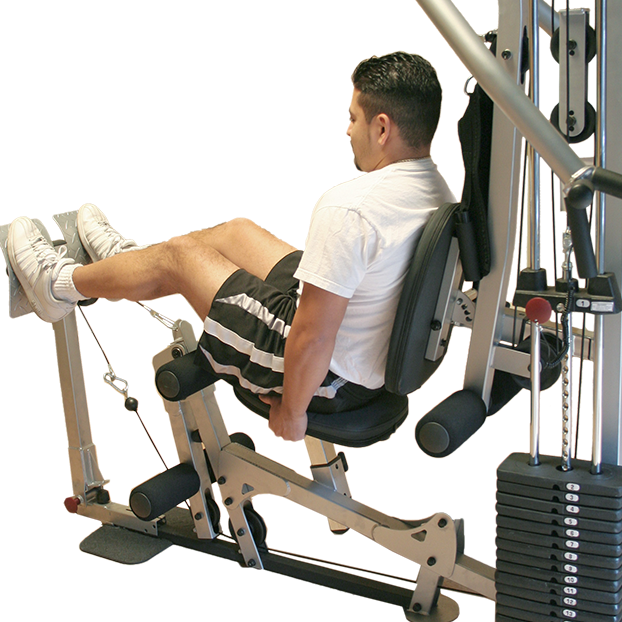 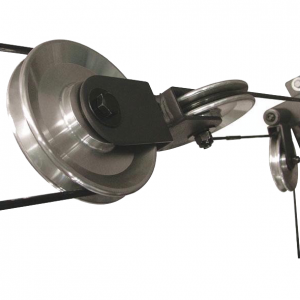 Unlike most leg press attachments, the BSG10X attachment does not require a separate station, but rather attaches to the front of the leg developer with an extra pulley. 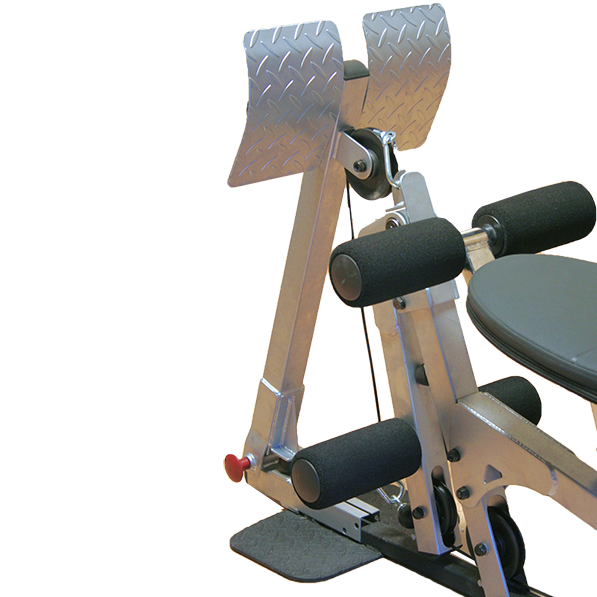 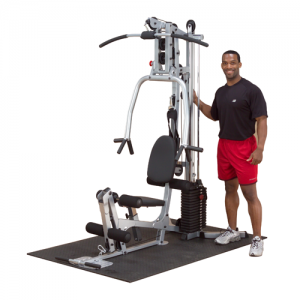 This leg press attachment is for use with the PowerLine BSG10X Home Gym only (sold separately). 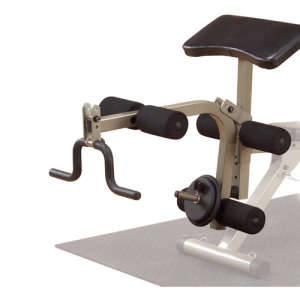 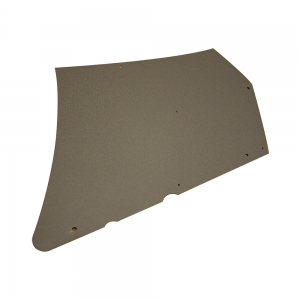 • Must be used with the PowerLine BSG10X Home Gym (sold separately). • Attaches to leg developer.